If iac is scale so is the croc if the croc isnt scale then the iac isnt. They both are or both aren't. Unless you're saying the croc isn't to scale with itself. Such as bridge out of scale with hull. And if that's the case then fair enough the croc isn't perfectly scaled. But it does still take up the correct amount of space even if the cosmetics are off. I like the idea of a "Super Huge" in the game, but we should be talking about an Arquitens, not an ISD. See I could get behind that, two part model that can be broken down for transport to and fro the flgs and actually scale (power wise if not model wise) with the game a lot easier. Arquitens for imps, Nebulon-B for rebels? Imperial II is wayyyy too big. Bigger than a victory class. Arquitens is comparable to a nebulon b, mc30, other frigates. the Nebulon-B is around 300 meters long, per canon. the Imperial II StarDestroyer is 1600 meters long. Nebbies most likely carry starfighters and other ships via docking tubes as seen in ESB with the Falcon docked to the ‘spine’. 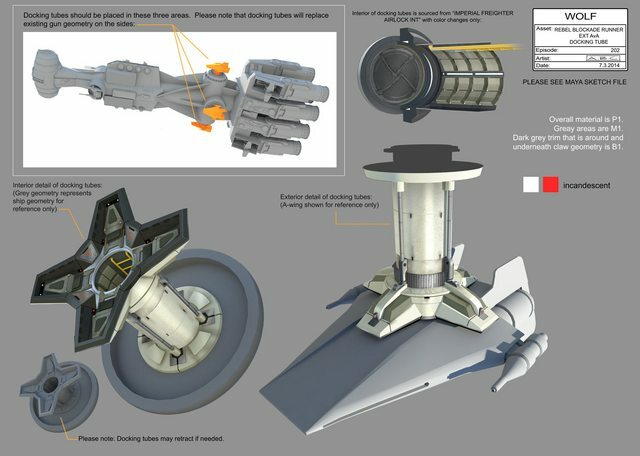 I could totally see 24 TIEs space out around the ship with gozanti-like docking clamps, some oriented on top or even on the side of the big central spine. 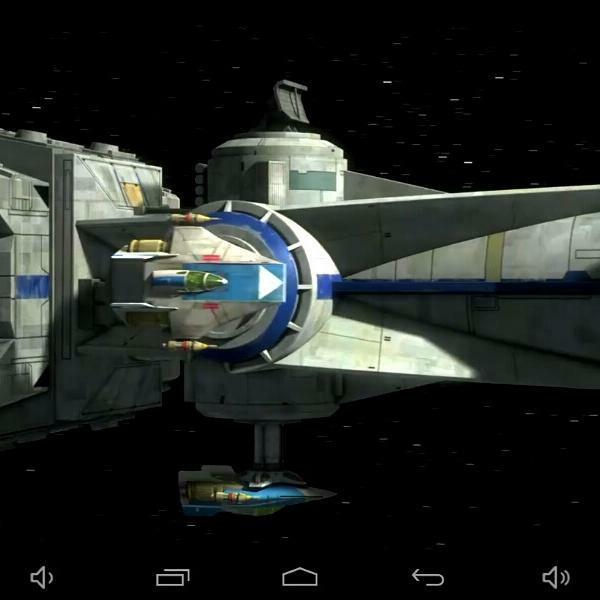 The X-wing games cheated and showed a huge docking bay on the fore section of the Nebulon B that was not present in the movies. Acclimators carried an obscene amount of ships in the CW cartoon. The 600 m cruisers that the Interdictors were based on could carry quite a bit if set up to do so, being a somewhat modular design. Well for docking I have set up a docking zone inside the influence zone and the docking zone is considered under the ship. For capacity we all know that ISDs carry not fighters but squadrons of fighters. But again as going for abstraction (as X-wing is a game of Abstraction more than Simulation) I think maybe having a capacity of 16 small ships or 4 large ships (large ships taking up 4 slots) as the capacity (that should fit around 200 points). I was also thinking of different types of actions too. Reload (note this was before wave 12 was announced) Replace all discarded secondary weapons and munition tokens. Repair Discard a face down damage card or flip any face up damage card with the ship trait. Replace Pilot Trade pilot card with any non-unique pilot of the same ship that has equal or lower pilot skill. Then turn all face up damage cards with the pilot trait face down. Also thinking of a huge ship only <crew> card called reserve pilot. When place a pilot card under this. When performing a replace pilot action of a ship of the same type who cost more squadron points than the pilot card under this you may trade with this card instead. Gozanti and raider are to scale, CR90, CROC, and GR75 arent. I made a custom rebel Epic ship to scale and play that as the GR75. True, but even at 1:400, rather than 1:270, its still close enough. Making an ISD 1:4000 is going to be WAY OFF.. Though i've often wondered. The Gozanti can carry 4 fighters. BUT is that all it can deploy? The Gozanti can carry 4 fighters. BUT is that all it can deploy? I was more thinking, can it deploy defenders, advanced or other ships besides bombers/interceptors/fighters.. OR because those other fighter types have their own hyperdrives, a Gozanti's not needed? I think the TIE Defender though, doesn't really have a good way to link up, because above its top hatch, is its third wing pylon. I was focusing more on what's mechanically possible than what's legal. Thank you, good lord. I'm glad somebody said it. Fair enough. Guess it will just have to stick with using the non-hyperspace stuff.. Strange, in the legends novels (specifically Wraith squadron), we only ever see a haphazard retrofit of a Corvette to carry 8 x-wings, NOT any A-wings.. 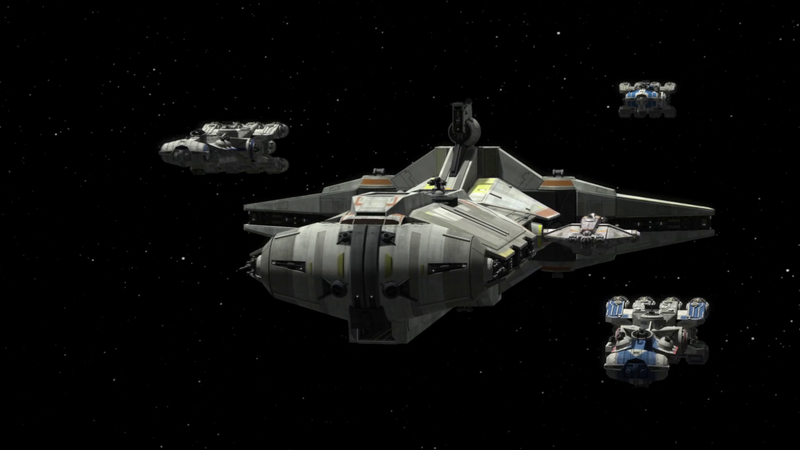 So if the clone wars/rebels showed it being a somewhat common thing, why then was it so 'revolutionary, when it got done in Wraith squadron?? Because the A-Wings weren't carried internally. There's also no way eight X-Wings fit in even a retrofitted one. I think it was a misunderstanding on the actual scale of the ships... If Wraith was written today, the ship would've been a Pelta, not a CR90. Reminds me of the offensive, downright offensive scaling in Mysteries of The Sith. Even if you did barf a hangar bay onto a CR-90, you end up sacrificing loads of weapons and other systems- and there's no maintenence space. It'd have to be 100% flight deck. It's a horrible idea. Timestamped, just look at this whole section. This is bonkers. The trend of 2.0 is: less tweaking of scales (ex. Rz2 A-wing to proper scale vs 1.0. Rebel A-wing slightly sized up). We're also basically promised a rescaled Silencer as well, so I'm hoping for some adjustments for the RZ1 and maybe a couple epics. The 1.0 A-Wing was sized to the official figure almost exactly. But the official figure doesn't quite match some of the props (though it does match the Rebels A-Wing scenes). 1.0 A-Wing Official length: 9.6m. Model length 36mm. At 1/270 scale, scales up to 9.72m. Almost bang on. If anything, it's the 2.0 A-Wing that's more severely oversized, since the official length is 7.68m. 2.0 A-Wing Official length: 7.68m. Model length 35mm. At 1/270 scale, scales up to 9.45m. Rather more off.